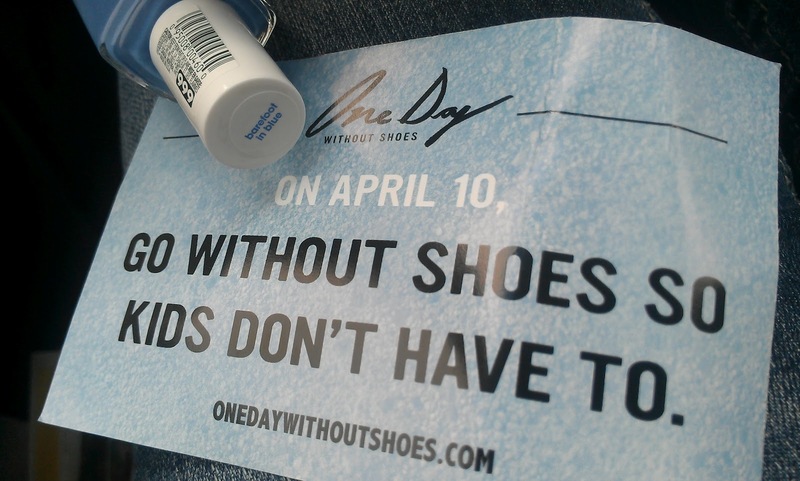 TOMS is well known for "buy a pair for you, we'll send one to a kid who can't afford any", I entirely support this cause . I grew up in a Third World Country, I have witnessed first hand how kids go without shoes everyday! Today, April 10th, is One Day Without Shoes event, it encourages us to go farefoot for one day, in hopes to remind us how there are so many kids around the world who cannot afford a pair of shoes and go barefoot everyday. You can read more about it HERE!!! 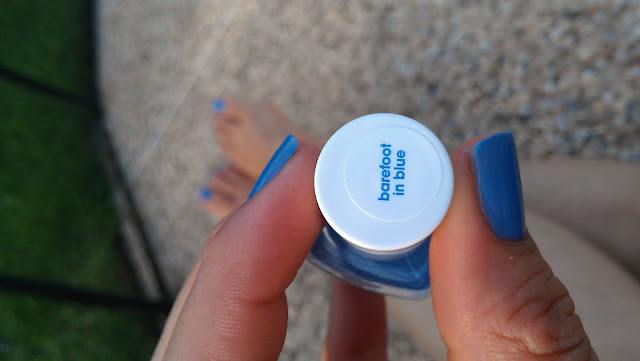 Essie and TOMS teamed up for this event and created a limited edition polish called Barefoot in Blue, thousands of these were given away, I was lucky to win one. It is a lovely periwinkle blue, I absolutely love it and it trully means a lot to me!!! I hope you all have a great day!!! Thank you for posting this! That blue is beautiful! Gorgeous blue! And such a great cause!!! Thats so cool. 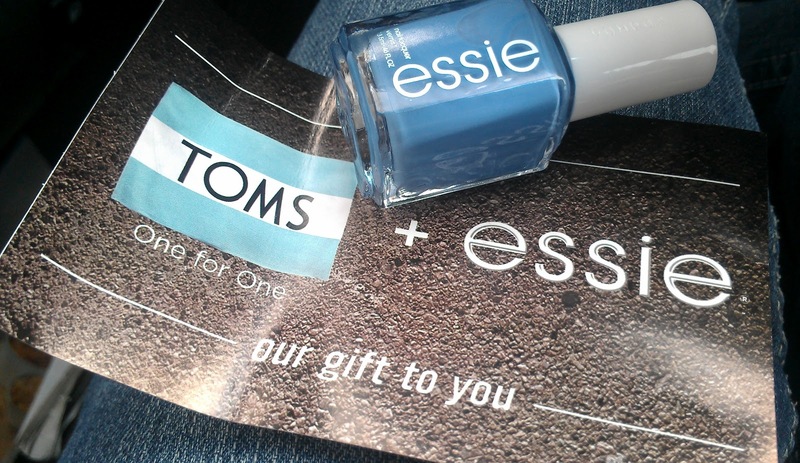 I love Toms and blue polish. The blue is lovely, and I love toms and essie! can you buy a pair of toms and then send me one ;) i want some glittaaa ones! thanks bish. Aw such a lovely post :) I love how there are causes like this! That blue is really gorgeous! I never knew about this. What a great cause! Thanks for posting about this, I didn't know about this day. The color is just gorgeous!! A very beautiful initiative. It's strange how little thought we give to a simple pair of shoes. Wow this is a great blue! So pretty! Oh my gosh! The more I see these vibrant blues, I enjoy them! That last photo is AWESOME! I am a sucker for photos that have that element of 'special' to them! AWESOME!